After his eighth position in the national competition of Mejores Arroces, Héctor Carmona, our cook colleague, shows us how to prepare the course which made him to get that position. An “paella del senyoret” (a banda) that will make you to lick your fingers! In the paella with the oil almost boiling, we put the tuna, the cuttlefish and the squid. After that, we add the prawns and the tomato. Move it a couple times and then add the ñora, characteristic ingredient from the zone and one of the most important touches. The rice is also added with the colouring and the salt and, following this, the fish broth. Leave it 20 minutes more or less and… voilà! Some “arroz del senyoret” to enjoy. 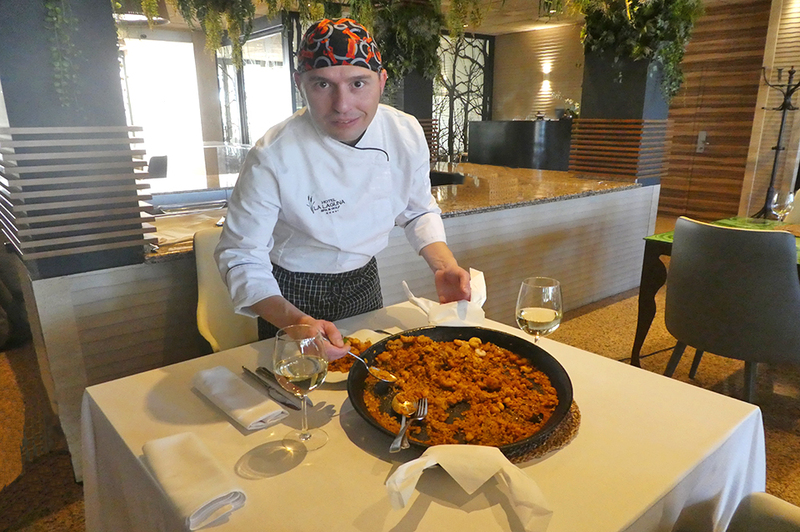 When we ask Héctor why he chose this paella for the competition, he explains: “although is not my favourite paella, I think is the very best from the zone” and he demonstrates that when we see him cooking it, step by step, taking care of every single detail, every single second and every single ingredient. Totally an authentic paella expert!